Haryana LEET 2019 Counselling will begin in the second week of June and continue till July. It will be in two rounds. Rank-holders of LEET 2019 Result can register themselves counselling by paying a fee. 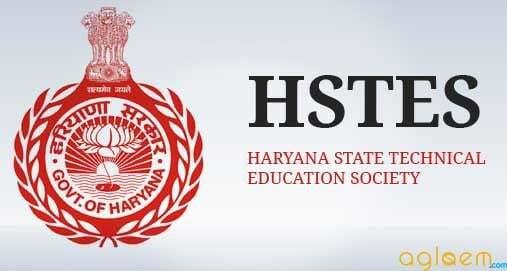 Haryana State Technical Education Society will conduct Haryana LEET 2019 counselling sessions for to all Lateral Entry to B.E./ B.Tech Courses for all the seats of Govt./ Govt. Aided/ University Department and 75% seats of Self Financing Institutes. For more information regarding, Haryana LEET 2019 Counselling, keep reading. Admissions will only be granted after the counselling and verification. Both rounds of counselling will be done on the basis of OLET Roll Number/TFW Roll number for B.E./B.Tech including TFW category and Inter-se merit/KM Roll Number for KM B.E./B.Tech Category. Counselling: Candidates can register for counselling on www.techadmissionhry.gov.in. The counseling fee for B.E/B.Tech (LEET) course according to previous year records is Rs. 500/- (Five Hundred Rupees) only (Non- Refundable) for all category candidates. 1st Counseling – shall be done for all categories namely AIC, HOGC, KM, TFW, SC, BC-A, BC-B, PH, ESM (with all priorities) and FF of all categories with 25% Horizontal Female reservation. After 2nd counseling no online counseling shall be conducted by HSTES and admission shall be made at Institute level counseling after merging the sub categories (including female) of a particular reserved category into the main reserved category. In the event of seats remaining vacant /unfilled, if any, same shall be filled up before final cut-off date of admissions without any reservation, firstly on the basis of entrance exam merit/ rank and thereafter on the basis of merit of Qualifying examination. To start counselling click on “New Registration” option and submit your details of Course, Roll number, application number, Name, Date of birth (as per admit card OR details provided by HSTES). If any of the details are incorrect, please check the details once again. For any correction/ verification, you may contact HSTES. If all information is entered correctly, you will get registration page for registering yourself. In case your entered details are wrong, software will not allow you to submit. Please check all the details once again, before submission. After this, candidate will be redirected to “Registration Confirmation” page where all entered registration details are displayed for confirmation once again. If you found any detail incorrect, that can be corrected by using the option “edit registration details” otherwise “Click here to continue”, if all the registration details shown are correct. Once you proceeded from the above step, your registration details (can‟t be changed or edited, so click on “Registration Confirmation” page when all your particulars are correct. In exceptional case, you may have to visit/contact HSTES only. You can generate a User ID and Password. Candidates should strictly keep records of this password for their own use only and not to disclose this to others. In the event of sharing of password, candidate will be solely responsible for the change of registration details, choice etc. In the event of losing or forgetting of password, the same can be retrieved by the candidate on replying the queries by the system on the counseling website. Candidate will login the website www.techadmissionshry.gov.in with his chosen User ID/ Password. After this, Candidate will confirm his/her registration details and move to fill his/ her eligible choice. Registration confirmation is necessary for choice filling. Candidate can also see his eligible choice and can take the print out of his/her eligible Choice. Number of seats available in a specific branch of an institution will be displayed as per the eligibility/category. The non-availability in a branch of an institution and branch / institute for which a candidate is not eligible will not be displayed to him / her. Candidate will go to fill his/her choices by clicking on Fill/Modify choice and fill his/her Choices priority wise by clicking on add choice button (+) in left frame. Candidate should save the filled choices also. To increase the probability of getting a seat, candidates are advised to fill maximum eligible choices. After filling the choices, Candidate will lock his/ her choices. Locking choices means Candidate has finally filled his/ her choice. Candidate can unlock his/ her choices and can edit, sort his/ her choices in specified time period which is available on key date’s link (choice locking starts, choice locking ends) on the website. Candidate should lock his/ her filled choice for seat allotment result. After this, Candidate has to wait for result of desired course as per Key dates. Seat Allotment Result publishing date is available on Key date’s section on the website. After the declaration of result of 1 st On-Line counseling as per Key-Dates, candidate will login in the counseling website www.techadmissionshry.gov.in by entering his/her Roll No. & Passwords and click on Provisional Seat Allotment result. If candidate has been allotted a seat then a page showing provisional seat allotment letter appears which shows Institute, Branch allotted to a candidate, Allotment Status and reporting duration is mentioned. Candidate should take print out of this Provisional Seat Allotment letter, and should personally visit the institute allotted to him/ her between specified reporting dates for taking admission. The candidate will deposit one semester fees in the designated institute at the time of reporting in the institution.